On 4 October Barratt London and East Ham Regeneration Ltd were granted planning permission by London Borough of Newham for the redevelopment of the East Ham Market Hall. With the project now approved, Barratt London expects to start work on site in December 2018. Located in the centre of East Ham, a seven-minute walk from East Ham underground station, the 1.9-acre scheme will provide 277 new studio, one, two and three-bedroom homes, including 78 affordable homes, and 21,500 sq ft of new and refurbished retail space. Designed by RMA Architects, the mixed-use residential and retail development will also create new public spaces, as well as landscaped courtyards and private roof gardens for residents. East Ham Market Hall is one of two developments which Barratt London has acquired in the Borough of Newham in the last two years. Upton Gardens, on the site of the former Boleyn Ground at Upton Park, launched in February last year and will deliver 842 homes for the borough. “We are delighted that London Borough of Newham has granted planning permission for the redevelopment of East Ham Market Hall. The Borough has gone through significant regeneration following the London Olympics in 2012. We are proud to be contributing to this through both our Upton Gardens development, and the development of this new site, which will provide not only much-needed new homes but also a brand new retail offering for the area. “We know how important it is to build more homes for London as quickly as possible and are looking forward to starting work on site towards the end of this year”. East Ham Regeneration Ltd is a joint venture between the Market Hall owners Land Management and the award winning Yorkshire based property firm Dransfield Properties. 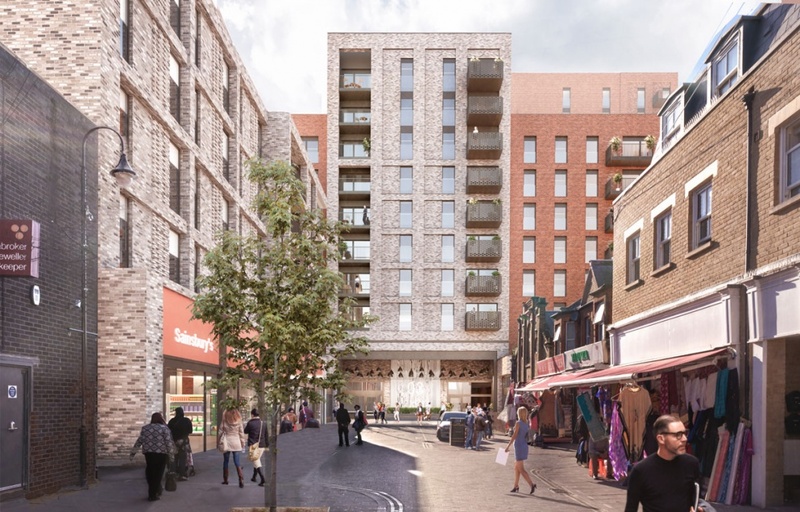 “This is our first major development in London and we are extremely excited to be working on this project with Land Management and Barratt London on a project which will deliver real change to this part of East Ham. 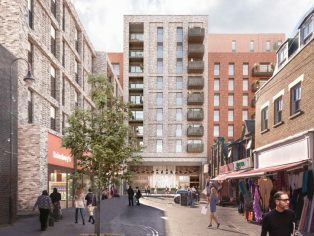 Barratt London and East Ham Regeneration Ltd have worked together with Newham Council, the GLA and local residents throughout the design process, shaping a scheme that will deliver a mixed and balanced community. The scheme’s anticipated completion date is June 2021.